We are in the first full week of July 2015 which means we’ve passed the half-way point of 2015. Therefore, subsequently, ergo, here is my mid-year six pack – the six books published between January 2015 and June 2015 I enjoyed the most, in alphabetical order by author’s last name (plus one more at the end published in 2014) with an excerpt of my review, which is linked via the book title. At this point, I don’t think it would be spoiling the story too much to say that Arlen and Jardir survived their tumble off the cliff, because Arlen realized it would be illogical to reduce any kind of chances humanity has at defeating the Demons, even if the methods Jardir and his people practice are less than savory. Arlen and Jardir exchange diatribes about their methods, but agree to face the larger threat. Meanwhile, the people who watched them fall to their seeming deaths are left thinking the two “Deliverers” have perished…except Renna who was a participant in Arlen’s scheme to keep both men alive. Their goal: to trap a Mind Demon and enter the Core to take the fight to the Queen of Demons. The characters disperse and we follow three main threads: Inevera, Abban and the Krasians as they attempt to keep the Skull Throne occupied and further their campaign against the “Greenlanders” of Thesa, the Thesians dealing with the Krasian threat with attempts to unite featuring characters Rojer, Renna, Leesha, Gared and those folk; and of course Arlen and Jardir preparing themselves for entry into The Core. pride may be one of the characteristics or traits that does in many of the characters and can be seen as the greatest flaw a person can have in this world. Rojer, Jardir, Jayan (among others) all exhibit a great deal of hubris and pride. Some of them overcome that and don’t let the hubris consume them, but when that hubris so strongly defines an individual character here, it tends to be a fatalistic flaw. 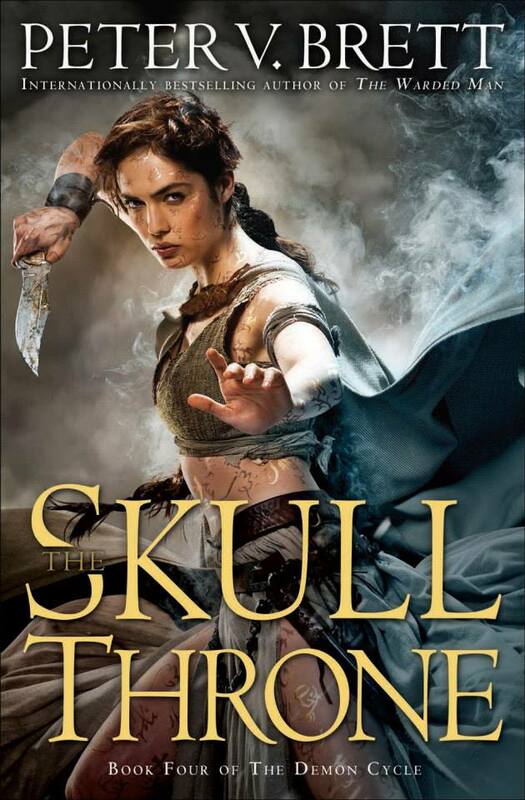 Leesha was quite prideful in her journey through to The Skull Throne, but in this third volume, her pride seems to have been quelled and as a result, she is a stronger character. 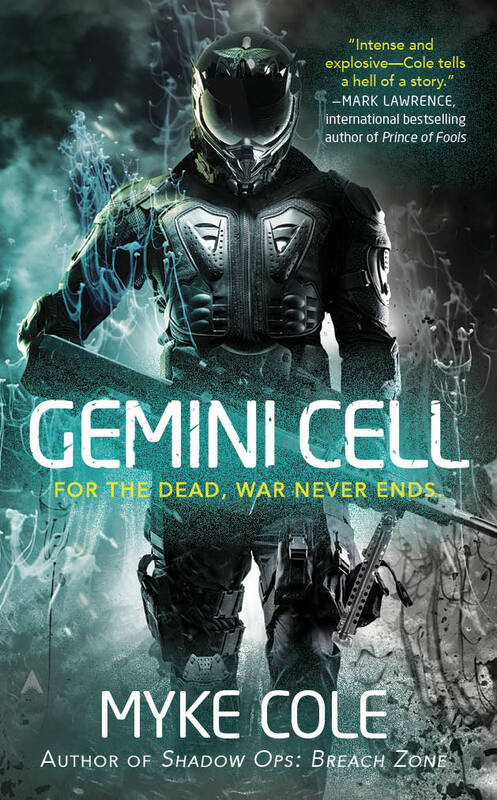 Gemini Cell is Myke’s fourth novel and is set in the same milieu as his previous three Shadow OPS novels, but is completely separate from those novels in terms of characters, timeframe, and storyline. In other words, this is the perfect entry point for new readers. In it, Myke introduces readers to Jim Schweitzer, a Navy SEAL, husband, and father. Like many soldiers/operators, he is torn between his military life and his family life. His wife Sarah is an artist and her career is beginning to flourish. As the novel starts, Sarah is having a major exhibition of her work and unfortunately, Jim is called away in the middle of the exhibition by the Navy for an emergency mission. Jim wakes up or rather he is brought back from the dead by a sorcerer and learns he is not alone in his own head and body. His unlife in his undead body share space with an ancient jinn named Ninip. Jim is informed that death has not severed his service to the Navy and he is “transferred” into Gemini Cell with Gemini referring, of course, to the twin souls of Jim and Ninip inhabiting Jim’s zombie body. As Jim soon learns, sharing a body with an angry jinn is a challenging task on top of adjusting to being undead and having been told his wife and son were murdered when he was killed. Jim’s spirit and Ninip’s spirit constantly struggle for control of Jim’s body, when in stasis, training or one of the missions he is sent to accomplish. Ninip is angry, seeks blood death and vengeance while Jim tries to calm the spirit. Set in the Dara archipelago (an imagined world with a Asian resonances), the Emperor Mapidéré has united the many islands under one banner. Immediately, in my mind, a flag arose. This could be seen as an endgame, for an epic fantasy novel/saga – the uniting of kingdoms by an ambitious ruler. But this is where Liu launches his story, at the apex of one ruler’s conquering goals as viewed by a trickster with lofty aspirations and an orphan seeking revenge. This trickster is a young boy who often gets into trouble, would rather frolic than read, but whose mother continually holds out hope that he’ll eventually “get it” and stop his tomfoolery. This is Kuni Garu, one of the primary protagonists of the novel. We see much of the action of the narrative through his point of view, we see him grow into manhood, become a husband, father, and unlikely leader of men. Kuni joins a street gang, has many adventures until he finally appoints himself Duke Garu and grows a legion of followers who pledge themselves to him. As Kuni climbs the social strata and makes a name for himself, he falls for a woman named Jia, the woman who becomes his first wife. There’s been a fair amount of criticism about the lack of female characters in this novel, itself just the first part of a trilogy. (This raises the question, I suppose, of how to review one novel in a series, which is a large chapter in a much larger story.) While I can understand that frustration – to a point – it seems to me in order to showcase an element that might be underrepresented, one must first illustrate that deficiency. In other words, such a criticism in my mind is slightly off the mark, because it seems to me the point of what Liu did with the gender imbalance in the first half is to present a problem to be fixed. A broken or unwhole thing can better be amended or repaired when it is viewed wholly. 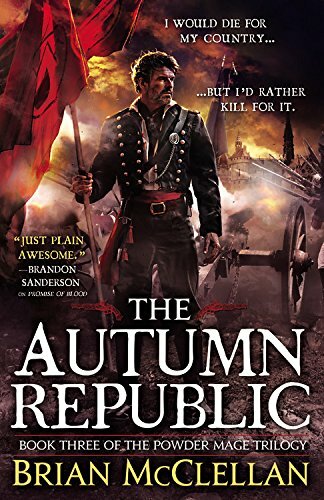 One great thing that struck me as I was blazing through the pages is what a great job McClellan did with finishing off The Powder Mage Trilogy in The Autumn Republic. 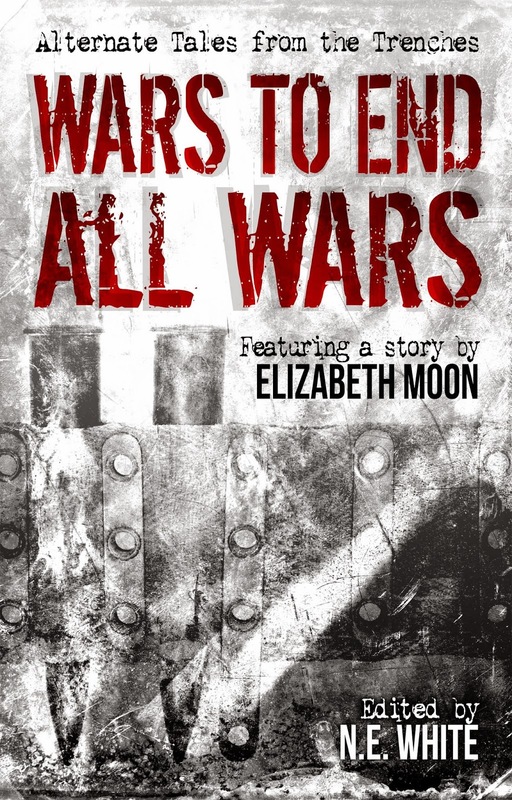 There was a great crescendo of tension as not only the elements of this novel came together, but the themes and character arcs of the whole trilogy came together towards conclusion. As great as McClellan did in crafting believable characters, his pacing was probably the strongest element of The Autumn Republic. I was continually impressed with Brian’s an expert handle on how he wants to conclude the story of Tamas and Taniel and his restraint in not rushing towards it unrestrained, while still maintaining that fantastic pace. The character of Nila really comes into her own as her character develops throughout the novel from the minor character we met initially in A Promise of Blood to how integral she is here in the finale. Events could not have played out as they if Nila didn’t take the active role she did. 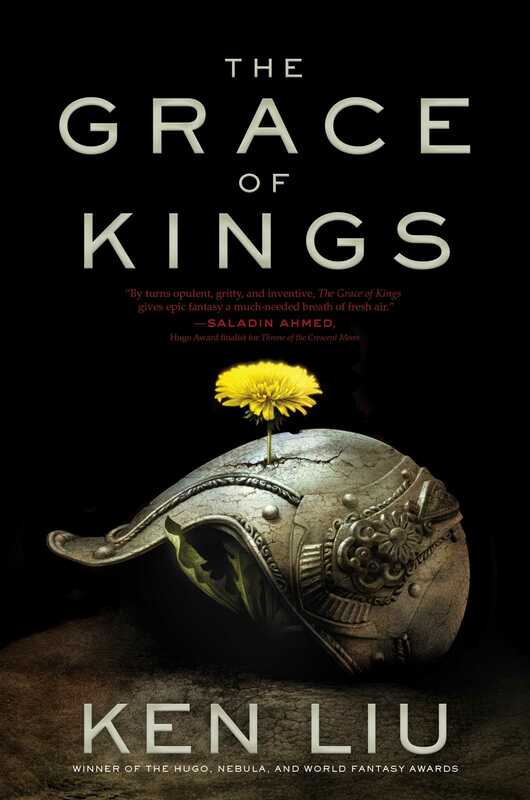 Lieutenant James Shelley is in charge of a Linked Combat Squad (LCS), who has dubbed him King David because of his premonitions which have often saved some, or all of them, from defeat or death. In this near future (probably about Twenty Minutes into the Future) members of the military wear skull caps on their heads which connect them to a cloud network. The military answers more to defense contractors than the government. The skull caps worn by the squad members also, via the cloud and their network administrator (for lack of a better term), control their emotions to ensure a more cool and calculated demeanor in the field. Ironically enough, Shelly was a war protestor and in lieu of serving out a jail sentence, he agreed to join the military. He excelled and eventually Shelly’s premonitions become more powerful, but he sustains a very damaging combat injury in the first third of the novel. What provides Shelly with these premonitions is something he dubs “The Red;” but is it malevolent, benign, or benevolent or more likely, an unknowable wild card? There’s also a nice metafictional element to the novel. You see, Shelley’s exploits are being broadcast for entertainment consumption, initially, without his knowledge. The public comes to know him and revere him as a hero. As such, the novel itself is broken into three sections, or Episodes, reflecting the exploits of Shelley’s LCS which are broadcast as entertainments. 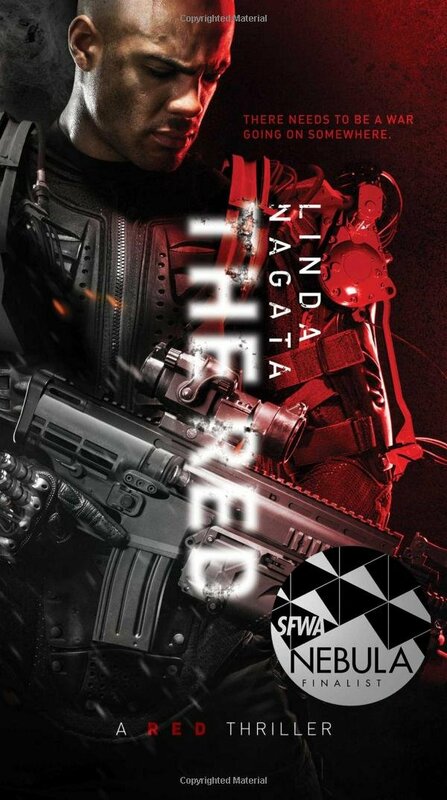 By novel’s end, or the end of three “episodes,” Shelley is transformed from the man we first met, he has accomplished some missions and Nagata has told a fabulous story. Agnieszka lives in a small village protected by the wizard known as the Dragon. Every decade or so, the Dragon comes down from his tower and hand-picks a young girl from the village to come live with him for a decade. Very little is known about what occurs between the two during that time save the woman leaves the tower a practitioner of magic herself and seemingly is no longer connected to her home-village. Nieshka thinks her best friend Kasia will be chosen by the Dragon as the time approaches for his ten-year visit. Much to her surprise (but not to any genre reader, I suppose especially because the tale is told through Agnieszka’s first person voice) Agnieszka is chosen and brought to the wizard’s tower. Agnieszka is not the most agreeable of the Dragon’s students. She constantly challenges his authority, seeks alternate methods for practicing the magical arts and generally acts in a defiant manner. Superficially, that could make for an annoying character, but I was enthralled with Nishka and her plight. 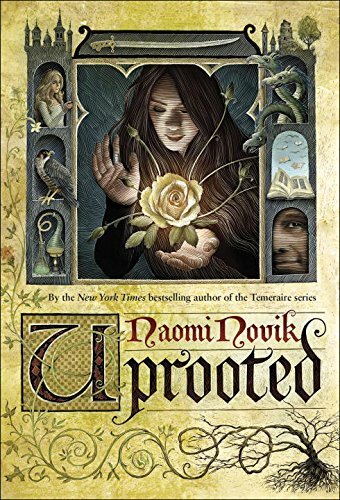 Novik did a marvelous job of building empathy and sympathy for her through nearly every twist and turn of the plot. On the other hand, the Dragon was a man who showed little patience for Agnieska through many of their interactions, but who wielded great power. 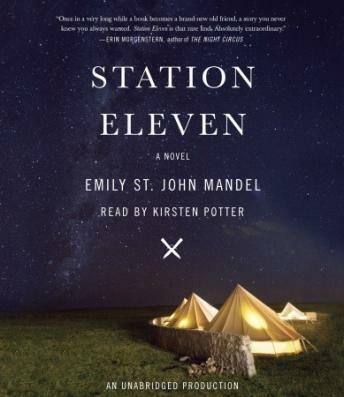 The honorable mentions is Emily St. John Mandel’s Station Eleven (published last year) which very quickly jumped up my all time favorite list. As George R.R. Martin proclaimed when he stated that Station Eleven was his favorite book from 2014, it is a book that shouldn’t work. The structure is not linear, it veers all over the place and doesn’t make itself immediately clear how everything is connected. That perceived barrier is what makes this such a strong and powerful novel because Mandel so skillfully weaves these narratives and left me at each seeming halting of a specific narrative wanting so much more. So I continued with the “new” narrative in the hopes of coming to a connection point between the seemingly separate narratives only to be fully engrossed in that “new” narrative. Or, in other words, I was wrapped up in what was happening to Kirsten only for Mandel to switch over to a narrative featuring Leander’s first wife Miranda and found myself equally enwrapped in her story. The famous actor Arthur Leander, after years as a Hollywood leading man and box office draw, returns to the stage for a production of King Lear in Toronto. When he dies on stage, the story unfolds in many directions. We learn about Jeevan Chaudhary, the medic who rushes from the audience to the stage to check on the actor. We meet Kirsten Ramonde, the young actress (8 years old) cast as one of Lear’s daughters for this unique performance as. 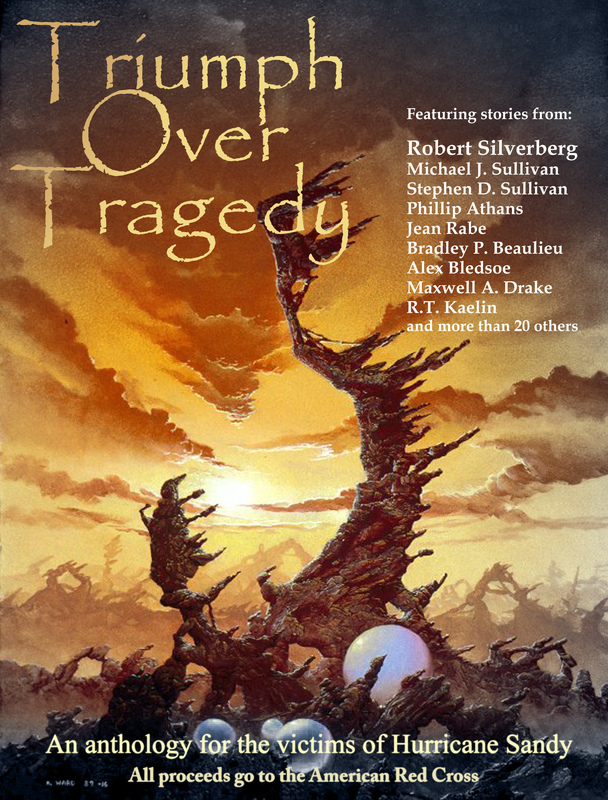 Their narratives spin directly following Leander’s death as civilization collapses (Jeevan) and a decade-and-a-half after the population has dwindled (Kirsten). Mandel also focuses her lens on Leander’s first wife, Miranda and his best friend Clark Thompson. Grace of Kings made my six-pack as well, and if I'd expanded it to a ten-pack, I know Brett and Lawrence would have crept onto the list. Loved the Brian McClellan trilogy! Need to work my way through the shorter associated works that are out there yet. Am enjoying the Anthony Ryan series now. Good stuff!